Our first 30 minute meeting is always free. We will get to know one another and allow your pets to make sure we pass their exacting standards. 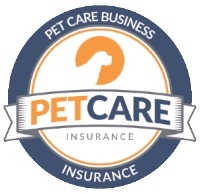 While you discuss your pets’ needs we will develop a personalized plan for your sit. We’ll fill out the paperwork and you can provide me your key at this time. Please leave cash or a check and the completed paperwork for the first day of the sit. A pet sitting visit will include fresh food and water, food and water bowl cleaning, playtime, poo scooping and litter box cleaning, health check, house security check, indoor plant watering, mail and paper retrieval, lights on/off, blinds open/closed, and email or text updates to you with pictures and/or video. Please note: I am not able to guarantee the life and health of any plants I water. For scheduling reasons I must limit hand watering to 15 or fewer plants. Please look into “plant nannies,” a drip system, or timed sprinklers for large scale watering. Our newest service we offer is Reiki for your fur children. Reiki, as described by the website iarp.org “is a spiritual healing art with its roots in Japanese origin. The word Reiki comes from the Japanese word (Rei) which means “Universal Life” and (Ki) which means “Energy”. Reiki is not affiliated with any particular religion or religious practice. It is not massage nor is it based on belief or suggestion. It is a subtle and effective form of energywork using spiritually guided life force energy. One thing I must emphasize is that Reiki is NOT a substitution for veterinary visits. It is an adjunct that can help the healing modalities your veterinarian prescribes. 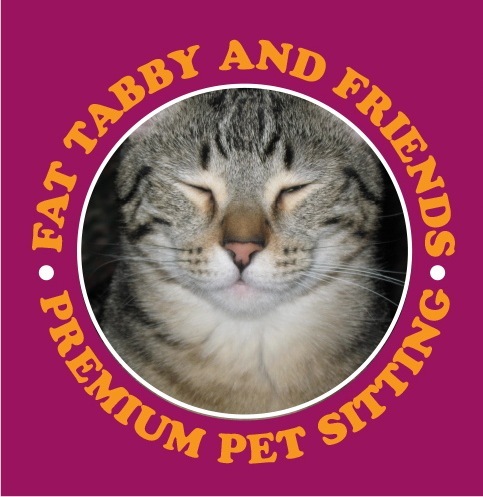 This service is recommended for cats, caged animals, and others not requiring two meals a day. Every other day visits for cats are not available as this is not in the best interest of your pet and it’s health. The exact time of the visit will be approximate and can vary depending on scheduling. **Prices depend on job complexity, services performed, and time needed to complete the service. Prices are based on a 20 – 30 minute visit and will increase with longer, more complex jobs. ALL TIMES ARE APPROXIMATE. I cannot guarantee exact times. For 1 – 3 dogs and 1 – 4 cats who require more than one daily visit for food or medications. There is a $5 per visit charge for every dog over three. The exact time of each visit will be approximate and can vary depending on scheduling but the morning visit will be prior to 10 AM and the afternoon/evening visit prior to 7PM. We are unable to accommodate more than two visits per day per household. I do not offer visits after 7PM. If you require a late night visit or more than two visits per day please call for house sitting recommendations. Add $5 per visit per dog for 4 – 6 dogs. **Prices depend on job complexity, services performed, and time needed to complete the service. Prices are based on a 20 – 30 minute visit and will vary with longer, more complex jobs. ALL TIMES ARE APPROXIMATE. I cannot guarantee exact times. It is rare when we have enough snow that I cannot get to a job. Please be assured I will do everything possible to see your fur child each day even if it’s very early or very late. Cat Clients: Please know that I monitor the weather situation closely and will double up on food and water the day before if we are expecting snow. Cats do just fine missing a day of human contact (they can’t miss meals though) unless they require medication. If they require medication please see if you have a trusted neighbor who can fill in. Check with your vet to see if skipping a day will be detrimental. Dog Clients: This is where the “potty policy” above comes into play. Dogs do much better than cats missing a meal – they can go a while without eating (just don’t tell them that) – but the bathroom breaks are the issue here. Please see if there is a trusted neighbor within walking distance who may fill in. I will do everything to get to your pets as soon as the roads are passable. Indoor dogs: All dogs must be house trained. If you have a puppy under one year of age please kennel your pup with a reputable veterinarian as puppies cannot be crated or let loose for any length of time. If your dogs will not go outside in the rain to relieve themselves they must be pad trained, trained to relieve themselves in the garage, or you must provide a covered, dry area outside. It is imperative for your pet’s health that they not “hold it” for extended periods of time. Outdoor dogs: All dogs must have access to warm and dry accommodations during inclement weather. A covered front porch is not acceptable since wind blows rain and snow all over. This helps me sleep well at night knowing they are safe. Cats that are both indoor and outdoor: All indoor/outdoor cats must be kept inside during your absence. There’s no guarantee they’d come to me to be “put in at night” and I like to lay eyes on everyone every day. Outdoor only cats: With the exception of feral colonies all outdoor cats must have access to warm and dry accommodations during inclement weather. A covered front porch is not acceptable since wind blows rain and snow all over. Please know these policies are in the best interest of your pet, their safety, and my insomnia because I worry too much. A $15 surcharge is added to these days. Jan, I just left a voice mail. I need a pet sitter for my 16yo cat, Parker in mid-May. I am currently living in Twain Harte.